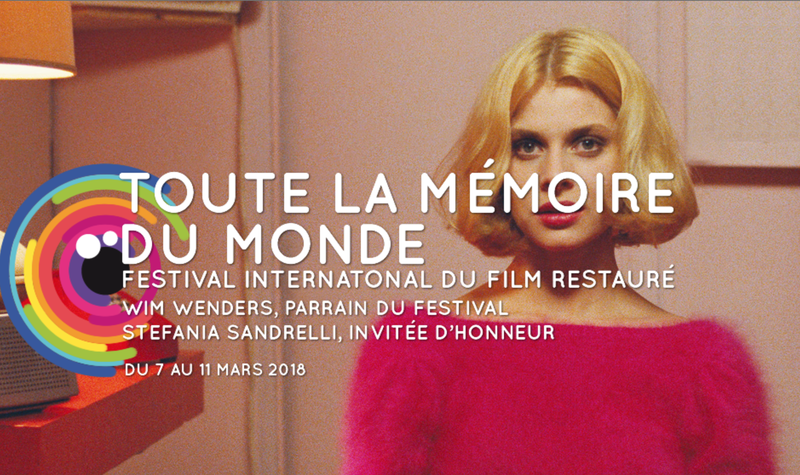 Wim Wenders will be the Guest of Honor of the 6th Edition of Toute la mémoire du monde, the International Festival of Restored Films, hosted by the cinémathèque française every year, in March, in Paris. This year, the festival will take place from the 7th to the 11th of March and will present a master class, a lecture and a film series by Wim Wenders as well as a carte blanche program of some of the director’s favourite films. Among some of Wenders’ favourites, audiences attending the festival will have the opportunity to view emblematic works by Yasujiro Ozu, Nicholas Ray and Howard Hawks, among others. From Wenders’ own filmography, the restored versions of a selection of his key works will also be presented. Most prominently, the recent 4K digital restoration of “Wings of Desire”, premiered just this February during the Berlinale, will open the Wenders‘ retrospective on the first day of the festival, with an introduction by the director himself.